The National Committee for Quality Assurance (NCQA) gives Premier Medical Group the highest level recognition as a Patient-Centered Medical Home (PCMH). 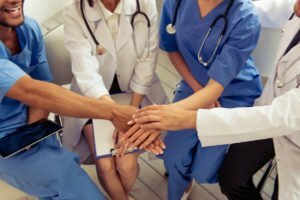 A patient-centered medical home starts with an individual’s primary care and focuses on comprehensive, team-based and accessible care with an eye on quality and safety. 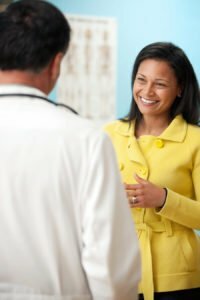 Patients who establish a medical home have a direct relationship with a physician who serves as the point person for the patient’s entire healthcare team. This concept is an innovative approach to providing whole-person care across many different spectrums of health care. It is Premier Medical Group’s goal to be your partner in health care. Once you establish a relationship with a personal physician at Premier, he or she will coordinate your care across all settings such as any medical office or clinic, hospital, testing facility or any other place where you may receive health care. We will strive to accommodate a smooth transition of care between our office and these related entities. A key aspect of the PCMH is access to care. Premier Medical Group aims to be a convenient choice for quality, outpatient primary medical care, available when you need it. All Premier clinics are open Monday – Friday: 8am – 5pm. Sunday: 1pm – 5 pm. Request appointments online at www.PremierMed.com by clicking the Patient Portal button or by calling 931-245-7000 Monday – Friday 7 am to 7:30 pm, Saturday: 8 am – 6 pm, and Sunday 1pm – 5 pm. If a clinic is closed, all patients have access to medical advice through our On-Call system. Simply call the main phone number of your clinic, and you may be directed to a physician, triage nurse or pediatric triage nurse. In a true medical emergency, please call 911 immediately. To maintain continuity of care for patients across the spectrum of their medical experience, we gather data that is easily available to other providers from our electronic medical records. Such information may include medications, specialty physician care, past medical history, current health status, information from recent hospitalizations and ER visits. Likewise, during patient office visits, we deliver evidence-based care and offer patient/family education and self-management support. We are concerned with “whole person care,” that includes behavioral health care. These types of needs are addressed during regular evaluations. PCMH is a partnership. It is important for patients to provide us with an accurate medical history, as well as information about any care they obtained outside of our practice. This includes current medications, recent test results, visits to other doctors and healthcare providers. We look forward to building a lasting, trusted relationship with you. In good hands with Dr. Vanderveen!